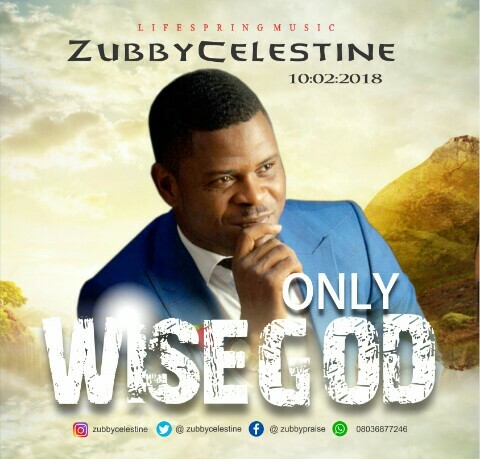 NzubeChukwu Celestine Nwakamma (born September 5, 1985) and popularly called Zubby Celestine by most of his fans is a minister of the gospel who answered the call of God and went into full time ministry at a very tender age of his life. He is a Lagos base Nigerian gospel singer, song writer from Ndiowu, Anambra state, the youth empowering minister and convener-Global Youth Transformation Ambassadors (GLOYTA AFRICA), also the owner of the record label Life Spring Music and Entertainment which has groomed a lot of gospel singers and other entertainers such as Zubby Celestine, N.D, Glory love and Ugo Calaw among others. He also takes the message of God to the people through music and preaching of the word of God, through the inspiration that God gave him people has been blessed and encouraged to do extra ordinary things in their sphere of contact. "In the race of life, there is always a time when many people will stand aside watching for the worst to happen, it takes only a man that has seen the invisible to stand, knowing fully well that in the foolishness of man God is wise and in the wisdom of God lies the foolishness of man. When men thought it is foolish to follow Him, as long as you heard Him clear, just follow Him. To men it can be foolishness but to Him that is “Wise Alone” there the crown lies."